Sustainability: Is seaweed the answer to all our problems? It kills sea turtles, eats through pipes, blights beaches, smells awful and plays havoc with asthma sufferers. It is sargassum, a brown seaweed or algae – brown because it’s likely infected with agricultural fertilisers and wastewater. Would you like a house made from it? Mexican inventor Omar Sánchez Vázquez does. 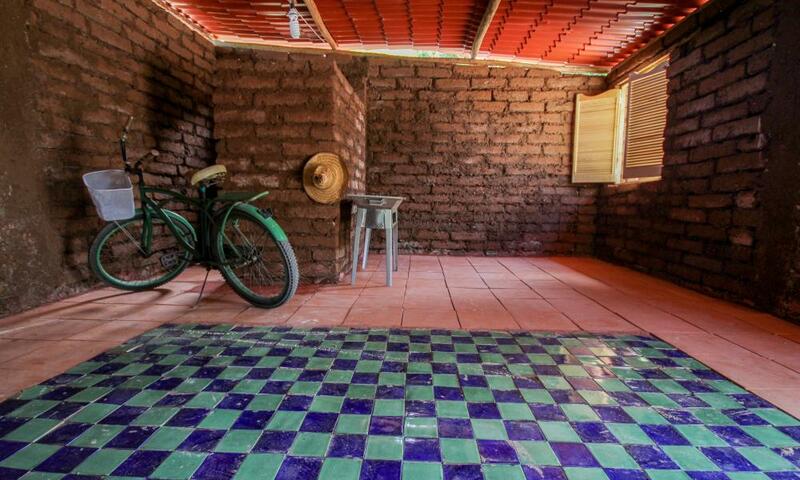 The proud owner of the world’s first home made from sargassum points out the algae is a highly functional, thermal, organic material which absorbs its own weight in carbon dioxide, is half the price of traditional bricks and strong enough to withstand hurricanes. Baking the algae bricks “gets rid of the stink” and if you jazz them up with plants, even the waste colour doesn’t look so bad. An exotic bird toying with diamond rings. A snake wrapped around an eye pencil. A fridge filled with bottles of peach-coloured French parfum. Since meeting at photography school in Milan in the late 80s, London-based duo Fabrizio Coppi and Lucilla Barbieri – now husband and wife – have produced dramatic images for Prada, Gucci and Chanel: abstract, with strong crops, but radiating colour, intensity and luxury. 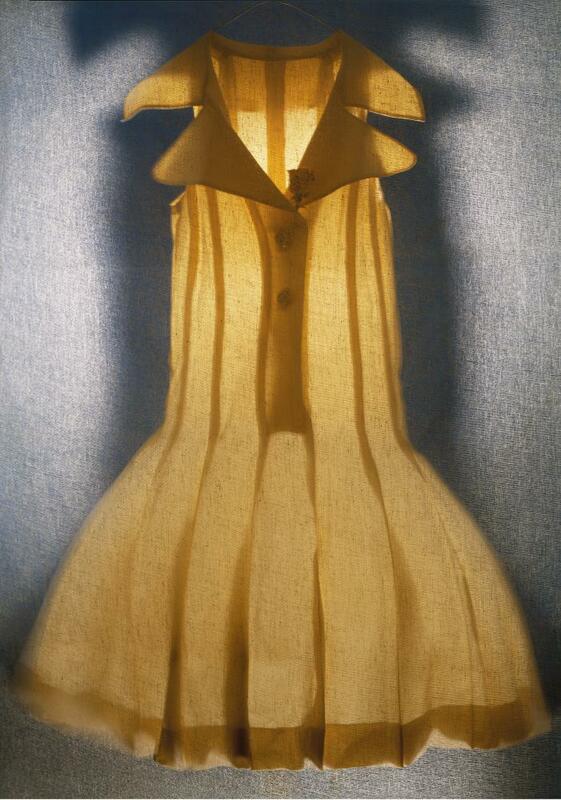 Before these Bond Street commissions, however, Coppi Barbieri applied equal love to photographing everyday objects. Jugs, pudding moulds and detergent bottles were followed by geometric metal objects: a cheese grater, a Moka pot. These pictures became the menu covers at London’s Oxo Tower restaurant. Coppi Barbieri Early Works 1992-1997 (Damiani, €59). You love its translucent pens, no-scratch turtlenecks and scent diffusers. Will you love its public transport? That’s the ambitious leap minimalist Muji is making with its latest product: a self-driving bus. Named Gacha, after the vending machine toys sold across Japan, the bus is an autonomous vehicle, launched in Helsinki last month as part of Finland’s effort to encourage “smart city” experiments. Is it art or is it furniture? 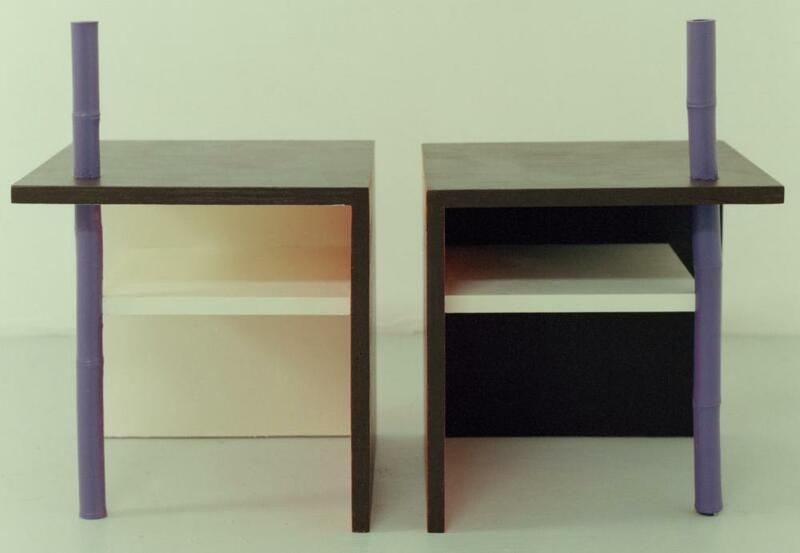 New Yorkers Aaron Aujla and Benjamin Bloomstein have been beautifully blurring the lines around this question since 2017, when they quit their day jobs as assistants to famous artists and set up furniture design studio Green River Project to make work that looks part Donald Judd’s Marfa, part high-end upcycling. As a freelance graphic designer and illustrator, Forgot works to client briefs, but in 2016 she produced a personal collection, Neverland. 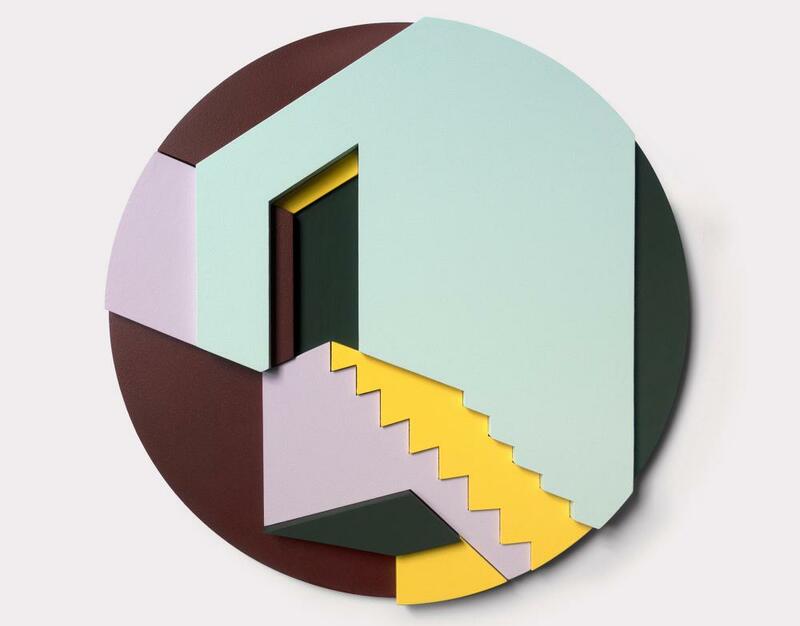 “I start the way a child does, drawing what comes to mind, which in my case is generally buildings.” She then translates these into prints and wooden blocks “which come from a desire to create something between illustrations and 3D installations”. “Food is love,” says designer Phillip Lim. “Cooking for friends and family, using your hands, it is one of the most personal things you can do.” Lim explores the intimacy of cooking in a new book that features favourite dishes from his childhood in Thailand. There are stuffed chicken wings, kow mon gai – his comfort-food chicken and rice – and a mean omelette recipe. This doubles as an art book – it’s illustrated by Lim’s close friend Viviane Sassen. The images, taken throughout Africa and Asia, represent a new direction for the award-winning Dutch artist. Sassen has painted over her photographs of street-food vendors and roadside fruit stalls to create a new mixed-media approach. It’s impossible to get through the pages of simple but mouthwatering dishes, paired with vivid imagery of fruit, vegetables and cooks at work, without hearing your stomach rumble at least once. The creator of these eye-popping, jaw-dropping cakes is Alison Dunlop of ARD Bakery. Following a childhood spent baking with her mum and granny (she still uses their unbeatable chocolate cake recipe), she studied sculpture at Glasgow School of Art before moving to London to design fashion accessories for Mary Katrantzou – known for her colourful aesthetic. “Everything I do seems to be unified by precision, playfulness and colour,” Dunlop admits. While on maternity leave, she started pushing her cake ideas to the limit, using computer design and edible digital printing. Dunlop taught herself to work in chocolate, to create the shards, slices and spheres that top her masterpieces. The awed reactions of customers encouraged her to switch careers. Each cake takes from one to four days to complete. 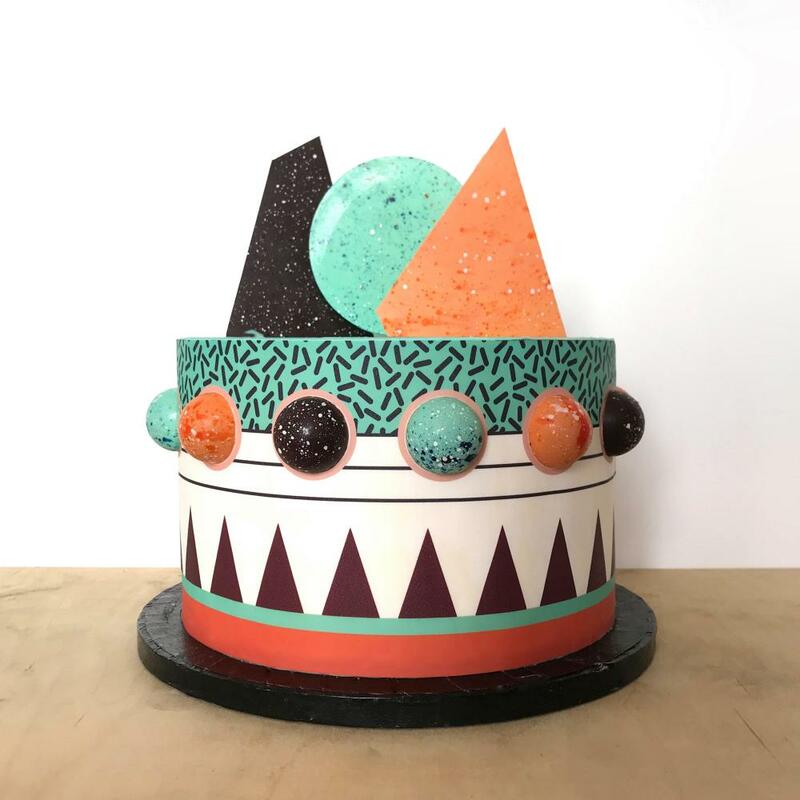 She draws inspiration from postmodern design, especially the Memphis Group, and uses premium organic ingredients and flavours: it’s essential to Dunlop that her cakes taste as good as they look.